Unicorn Cupcakes – Not Your Typical Christmas Cupcake! 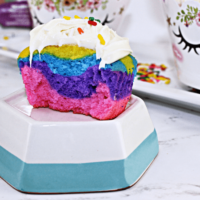 Unicorn Cupcakes are normally not what you think of when you think of a holiday cupcake idea, however, this particular one works perfectly! 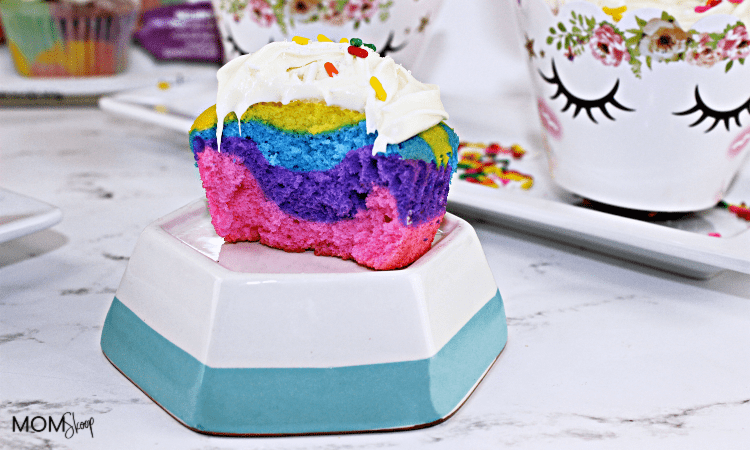 Not only is this a fun and simple recipe thanks to the Duff Goldman’s Unicorn Cakes Cupcake mix, it is the perfect cupcake recipe to make to welcome Sparkles, the Little Live Pet that your favorite little will be getting for Christmas! Unicorn themed cupcakes normally don’t say, “HOLIDAY CUPCAKES”, but sometimes we just need to change things up and celebrate our love for Unicorns any time we can! While I love making cupcakes from scratch when I can, sometimes cake mixes that already have anything already in it, make life so much easier! Especially during this chaotic time of the year! 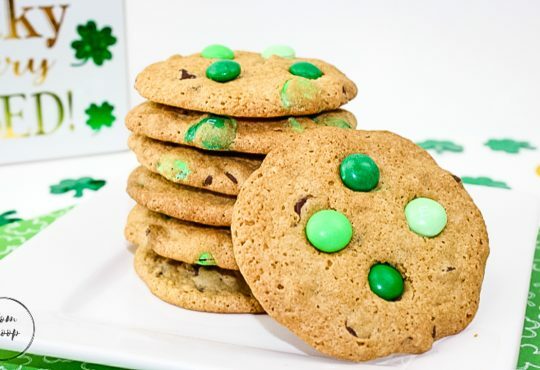 Have you ever used one of Duff Goldman’s cake mixes before? 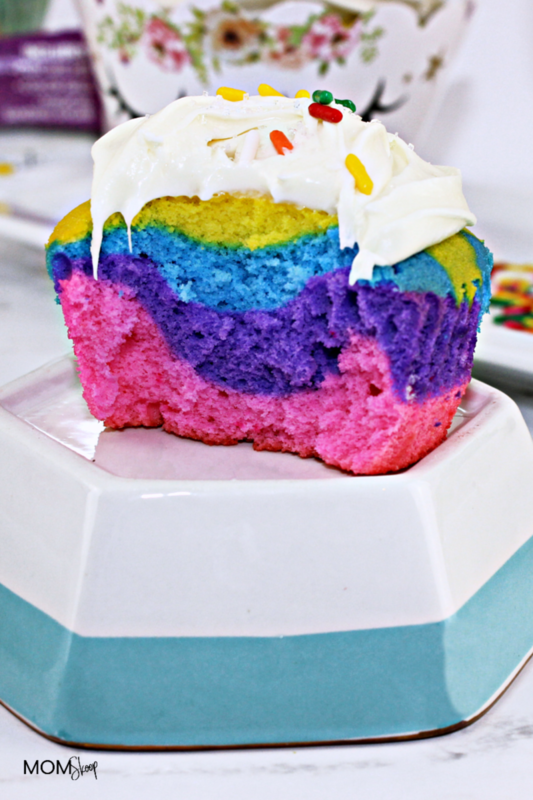 His cake mixes already have everything inside so you can make colorful cupcakes without a lot of work! 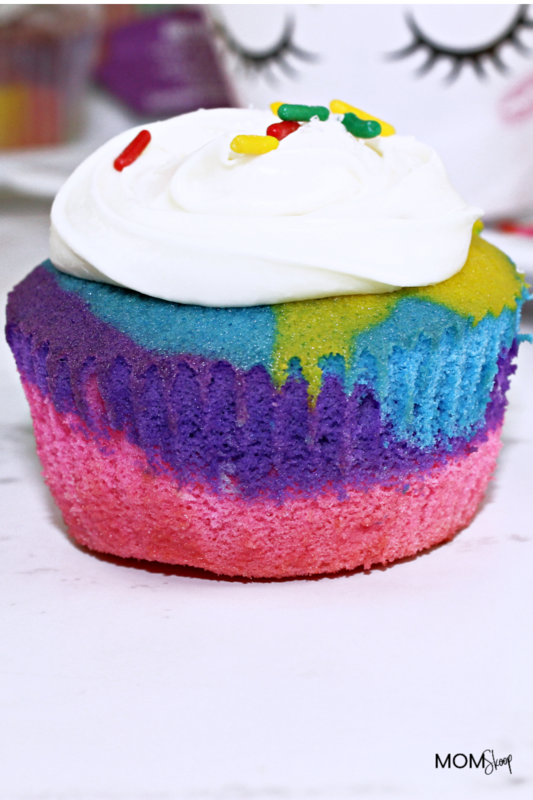 My youngest absolutely adores unicorns so I knew the proper way to welcome Sparkles, the Little Live Pet, into our home was by making Unicorn cupcakes! Looking for more unique Cupcake recipes? Follow the directions on the back of the mix . There is one key that you must remember when making these cupcakes. You HAVE to use egg whites so that you get the brightest color you can. Once the cupcakes cool, you can make your own frosting or you can use a filled pastry bag, like the vanilla frosting one from Pillsbury, to decorate the top of your cupcake. Sprinkle on the sugar that is included in the unicorn cake mix as well as some fun sprinkles. Wrap one of the paper Unicorn face cupcake wrappers around the cupcake and top with one of the paper unicorn horns. 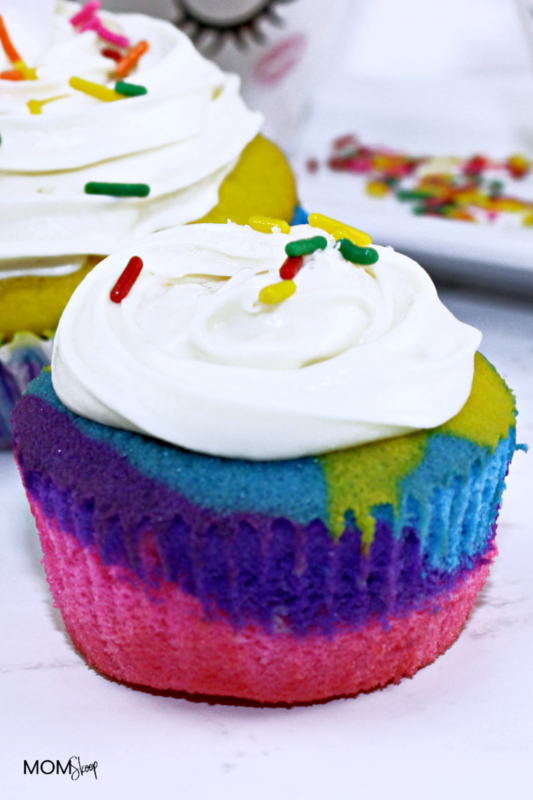 There you, quick and easy Unicorn cupcakes to enjoy with your family or to welcome Sparkles to your home! If you are unsure who Sparkles is, stay tuned! Unicorn Cupcakes - Not Your Typical Christmas Cupcake! This nutrition information is just an estimate. To get an accurate reading, please use your favorite calorie app to figure out your actual information based on your ingredients. Make sure you pin this now so you’ll have it for later!